DFWChild/Contests/Win a Family 5-Pack to COCO at the Omni Theater! 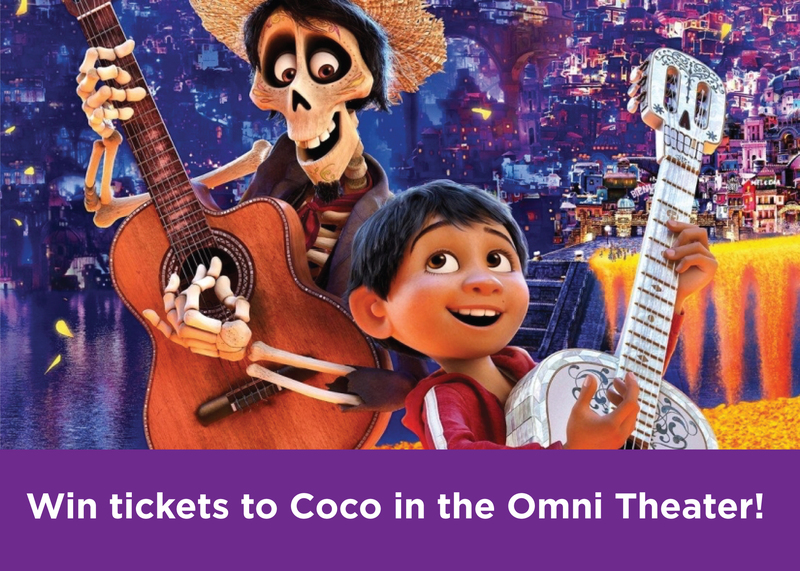 Win a Family 5-Pack to COCO at the Omni Theater! See Disney/Pixar’s vibrant tale of family, fun and adventure like never before at the Omni Theater in Fort Worth! Follow the aspiring young musician, Miguel, as he embarks on an extraordinary journey to the magical land of his ancestors. Family 5-pack is valid for select showings on November 17, 19, 20, 21. The Contest begins at 12:01 AM Pacific Time (“PT”) on Monday, November 5, 2018 and ends at 11:59 PM PT on Thursday, November 15, 2018 (“Entry Period”)—Any entries received after the Entry Period will not be eligible for judging.